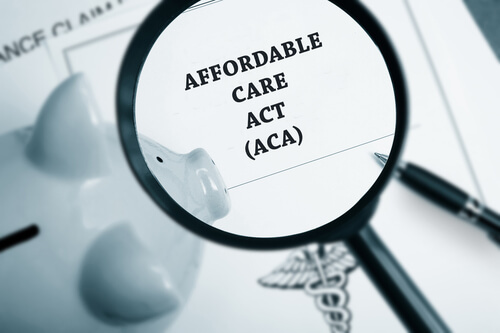 The Affordable Care Act ushered in a lot of change into the healthcare industry that is affecting insurers as well as those that are purchasing the insurance. One example of this is a new stipulation under the Affordable Care Act that requires all insurers to spend a minimum of 80 percent of their premiums on medical care. Insurers that do not meet this figure are required to issue refunds. The Los Angeles Times recently reported that one of the biggest insurers that was affected by this new regulation was Blue Shield of California. They did not meet the 80 percent figure – according to the Times, they only spent 76.8 percent of their premiums on medical care, falling just short of the Affordable Care Act’s required number. This has resulted in Blue Shield of California owing a total of $82.8 million in rebates to its customers, including both consumers and small employers. Broken down further, they will have to pay roughly 400,000 individual consumers around $61.7 million in total. This works out to an average rebate of $136. They will have to pay roughly 19,000 small businesses a total of $21.1 million. According to Blue Shield of California, it plans on sending out rebate checks and letters to all of its eligible consumers by September 30th of this year. The main reason that they missed the 80 percent threshold established by the Affordable Care Act, according to Blue Shield of California, is because of the enrollment uncertainty of the new act. However, Blue Shield of California is the only major insurer that is being forced to send out rebates to their individual customers and small employers. The other major California-area insurers, including Anthem Blue Cross and Kaiser Permanente, have released statements that they were able to meet the 80 percent threshold and that they do not owe any refunds for this year. For additional information about the rebates owed by Blue Shield of California, or for information about the Affordable Care Act and health insurance in general, be sure to contact us at the Benefits Store today. How do Bone Fractures Really Heal? The inflammation stage – Bleeding caused by the fracture within the bone and the tissue surrounding it will cause the affected area to swell. 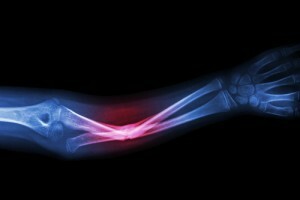 This inflammation will likely occur the first day the bone is fractured and can continue for upwards of two to three weeks. The soft callus stage – After two or three weeks, the pain and inflammation should begin to decrease. Once this happens, the fractured bone will begin to stiffen and new bone will begin forming; however, this new bone won’t be visible by x-ray yet. The soft callus stage will last between four and eight weeks after the fracture occurred. The hard callus stage – After the soft callus has formed, the new bone will begin to bridge the bone fracture. It’s at this point where the new bone can be spotted via x-rays. It should take between eight and 12 weeks for the hard callus to completely fill the fracture. The bone remodeling stage – Once the new bone has filled the fracture, the affected area will begin to remodel itself, which means that any deformities caused by the original injury will be corrected. Depending on the severity of these deformities, the bone remodeling stage could end up taking up to a few years to complete. Although bone fractures typically heal without issue for most patients, there are a few problems that can occur in particularly severe bone fractures. The biggest potential issue is compartment syndrome, in which severe swelling results in not enough blood getting to the muscles in the affected area. This can lead to long-term disability. For more information about related health insurance advice, contact us at the Benefits Store today. It can get pretty hot during the summer here in California. In addition to purchasing health insurance to protect you financially should anything happen to your health, you should also take precautions against the summer heat in order to ensure that you don’t have to use your health insurance. Protect your skin – Wear loose-fitting clothing to help keep cool and to protect your skin from being burned by the sun as well as from mosquitoes. You should also apply sunscreen at least 15 minutes before you go outside and reapply it every two hours. Protecting your skin against the sun will help to prevent skin cancer, which is the number one type of cancer that affects Californians. Don’t leave anyone in the car – Whether you’re running inside somewhere for a minute or just unloading groceries, don’t leave children, seniors or pets in the car without the air conditioning on. It can takes as little as ten minutes for the temperature to reach deadly levels in the heat. Protect your eyes – Wear a wide-brimmed hat and sunglasses with UVA and UVB protection in order to prevent chronic exposure to the sun, which can cause cataracts and even lead to blindness in some cases. Supervise your kids – If you plan on going to the beach or using the pool, do not leave your kids unsupervised. Drowning is the leading cause of injury-related deaths for children under the age of five. Remain hydrated – Drink plenty of water throughout the day in order to stay hydrated. If you get thirsty, you’re already dehydrated. Keep these five summer health tips in mind and be sure to contact us at The Benefits Store for helpful information concerning California health insurance. While private-sector health care market growth is predicted to continue to increase throughout next year and will most likely still grow more quickly than the rest of the American economy, it is expected to slow down according to a recent PricewaterhouseCoopers report. The report has predicted that spending in the private-sector health care market will go up by roughly 6.5 percent in 2016, which will be down from the 6.8 percent increase in health care spending that is expected this year. Private-sector health care spending increased by 10 percent back in 2008. The report also revealed that health care spending accounts for around 17.4 percent of the U.S. economy and that health care spending will still be growing at a higher rate than the overall economy of the country. The report predicts that two of the factors that will drive down spending include the Cadillac Tax, which is a tax on costly health plans that will be implemented in 2018, as well as the increased use of new health advisers and telehealth. Not to mention that more employers are offering high deductible plans and shifting the costs of health plans to consumers, which will most likely result in many individuals becoming more aware of health care expenses, thereby resulting in lower spending. Average deductibles have grown by $500 since 2009, during which the number of employers that have offered such plans have tripled. The signs of slow down in Private-Sector health care market growth are not something that most experts are worried about. In fact, the projected slow down is considered good news by many since the medical cost trend is roughly double the rate of overall inflation. For more information about the private-sector health care market, be sure to contact us at The Benefits Store today. The California Senate recently approved a bill that would provide California health coverage for illegal immigrant children. 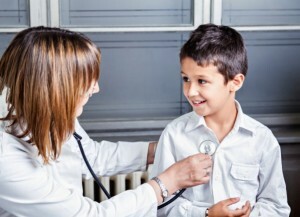 This will make California the first state in the United States to provide health care coverage to kids who are in the country illegally, which means that they are requesting federal authorization to be able to sell private insurance to immigrants without requiring documentation. There are between 195,000 and 240,000 children under the age of 19 from low-income families that would be able to benefit from state-funded Medi-Cal, which is the state’s version of Medicaid, even if they are illegal immigrants. The legislation will also seek a federal waiver that would allow the state to sell unsubsidized private health care insurance through Covered California, which is California’s health exchange. Now that the legislation has been approved by the State Senate, the bill only needs to be passed and signed by the Governor in order to go into effect. 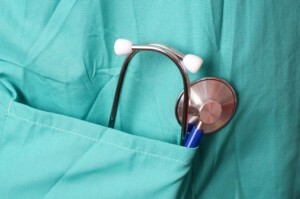 While many Senators believe that this is an important step in helping to expand access to health care throughout the state, some believe that the bill will amount to nothing more than an empty promise, believing that it won’t actually help illegal immigrants to obtain access to doctors since there already is a shortage of providers that accept Medi-Cal. Although President Obama recently enacted an executive order that helped keep some immigrants from being deported because of a lack of comprehensive immigration reform, his action excludes any immigrants that came to the United States illegally from being able to qualify for federal health benefits. The cost to expand Medi-Cal to immigrant children could end up costing $135 million a year even without an executive action by the President. For more about California health coverage for illegal immigrant children, contact us at the Benefits Store today.